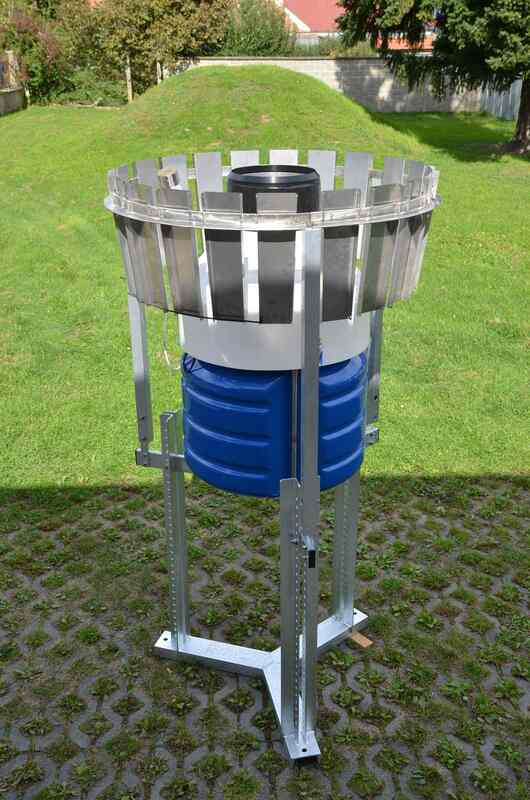 The MWS500 wind shield is used for rain gauges with 500 cm2 or 200 cm2 catching area. It serves for reduction of the wind influence on the catching of the precipitation. Namely for solid precipitation in winter season in the first place. The METEOSERVIS v.o.s. 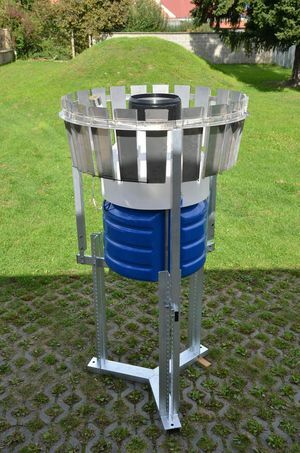 company, as a producer of complete automatic measuring systems for meteorology, is also a supplier of various meteorological masts and atypical constructions for attaching sensors. The foundation of these products is the unique system of anchoring structures to the surrounding terrain or other surface with special reinforced concrete anchoring tiles having the dimensions of 45 x 45 x 10 cm and a weight of about 45-50 kg. The tiles can be put one on top of another, connected to each other with a screw passing through their centres, and thus making anchoring blocks weighing several hundred kilograms. Such blocks can be buried into the ground (gradual piling tiles into a hole dug in advance) or they can be put on another surface (for example the flat roof of a building). Concrete poured into the ground is not used for anchoring structures and therefore, this is a structure with a minimal impact on the surrounding environment concerning installation. The structures can be easily disassembled and moved to another locality. It is possible to send them complete, including the concrete bases. Installation is carried out quickly and without time delays.